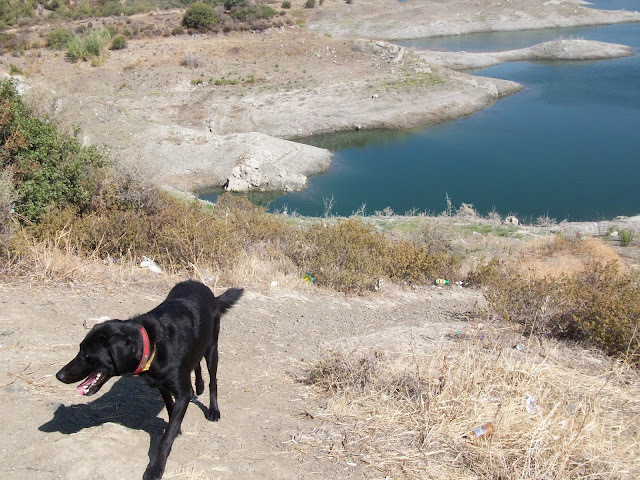 While visiting archaeological sites is not an obvious dog-friendly activity, this area has a lot to offer for a day out with your dog. We started by the old copper mines, just outside of the village of Kalavasos. From here you can take various paths around the valley, which is really incredibly beautiful and quiet. 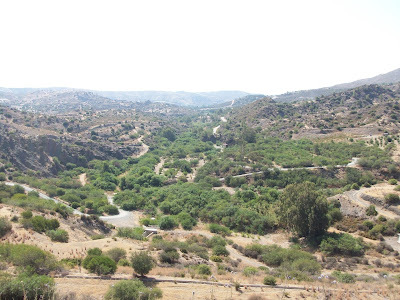 The mountains here do not have the impressive height of the Troodos, but seem to continue endlessly off into the distance in every direction, and since so few people visit this area, it is wonderfully peaceful. From the mines, we drove the short distance to the dam, and walked across the top where the views are fantastic. 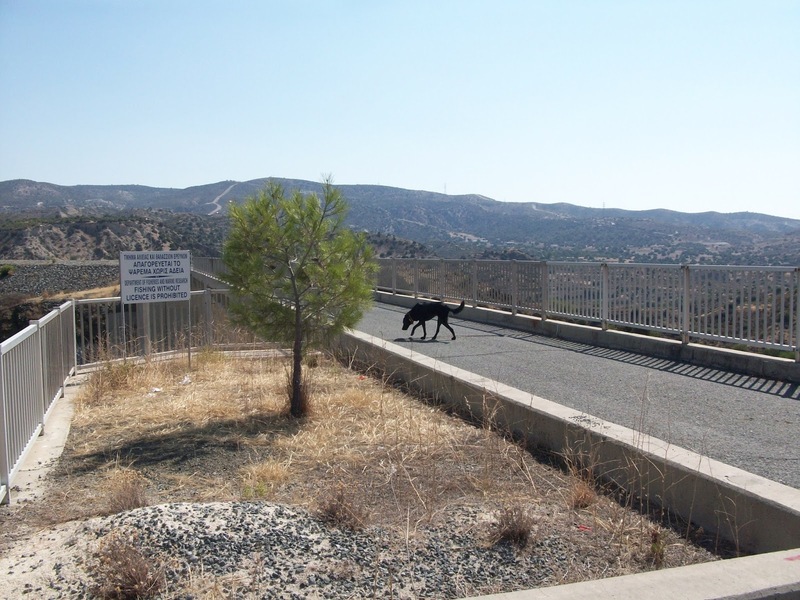 This dam provides water year round for the villages of the Vasilikos Valley. You can fish there too, with a license. Alison told me of sites that were submerged when the dam was constructed, as well as of the paths you can take from there up to various tiny mountain villages (such as Parsata and Vavla) and beyond, to the Monastery of Panagia Galaktotrofousa. 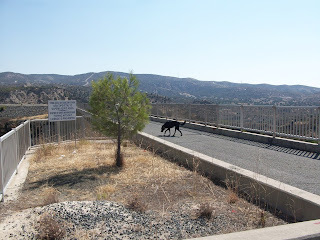 As it was too hot for hiking, we just wandered around the dam looking at the views, but I am definitely going to come back to explore this area more thoroughly in the autumn.